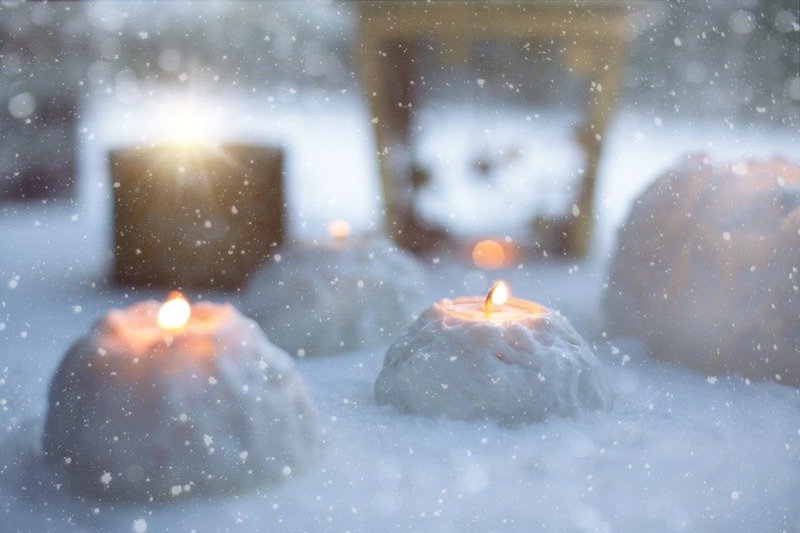 Guest author Annie Highwater shares ideas and strategies for making the most of this often emotionally charged time of the year. Beginning mid-October, a holiday dread begins threatening my soul like a shadow lurking around corners. I know the holidays are coming, who doesn’t? We see the signs everywhere, from the grocery stores to social media: pictures of ugly sweaters and perfect family celebrations. Radio stations change format to holiday themes, shopping ads and Christmas music. As for me, depending both upon the condition of my relationship with my son and how many miles are physically between us, I begin measuring how much gloom I can expect to wrestle in the weeks from Halloween through January. For a parent far from their child, those weeks can feel like intense, lonely drudgery. Unfortunately, as has been the fate of so many others, my son developed an addiction to opiate pain medication after a football injury nine years ago, and our lives have never been the same. Neither have the holidays or birthday celebrations. Through the worst of holiday seasons, I have found myself literally forcing a smile as people joyfully wish me season’s greetings in passing. Meanwhile, my heart weighs a thousand pounds and my mind is a million miles away. Familiar smells of cinnamon, apple and pine remind me of the holidays long ago when we looked forward to every light, ornament, favorite Christmas show on TV and special holiday dinner. Those warm traditions are now replaced with Skype and Facetime calls. Or… if our relationship is strained due to conflict and consequences caused by the disease of addiction, I instead brace myself for silence and sadness. I have to force myself to believe the most tender, magical of years are behind us. Could it really be that I will never again bundle up and walk the streets with a pack of kids in Halloween costume ‘trick or treating’? Would I really never again wake up Christmas morning to my young son running in to wake me in pajamas, excited to see what gifts are waiting for him in the glow of Christmas tree lights? My birthday is in November and my son’s is in January. Those are days we looked forward to making fun and special. So the twelve weeks from Halloween to February can sometimes pack a whole lot of gut punch. It can be tempting to hibernate right through the festive months when everyone seems so happy, and wake up in February. I find myself wondering how it could be that I would have to replay these moments as memories instead of experiencing them again? Sometimes I relive these memories so many times in my mind, like movies playing on loop, that I worry they’ll fade from me. Sometimes moments and voices seem distant and blurry and I wonder if they really even happened. The mind can play tricks on a Mother missing a child and your heart can hallucinate. When I’m wondering how happy those days really were, I often look with nostalgia through our old pictures, for hours… tears rolling off my face. ‘Tis the season. I miss my son not just as my energetic, excited child but also as I would miss a long lost friend. Our Mother/Son relationship didn’t trespass appropriate authority – we were never best friends as peers would be. I knew I had a job to do and a responsible role to fill as a parent. But we were friends. Always. Our bond and connection especially through humor, or how we both always just get it in relation to life, family and experiencing people, is something I have had with no one else quite like I have with my son, my only child. Missing him again this year with so many miles between us finds me wondering how another year could possibly have swung around so fast to find me again without his presence? How am I slammed with the reality of the holidays again being so far from what I hoped they would be? William Shakespeare said “Expectation is the root of all heartache,” and I would have to agree, my heart often throbs with the disappointment of holiday expectations. So how do I move along with the season without moping through the days like it’s raining only on me? I have to first decide I will find a positive outlook. I must intentionally decide to find a way to see around corners and know that not every year is depressing, just like not every year is magical. Whether good or bad, no moment lasts forever. Such is life. As hard as the reality of loneliness and disappointment hits, the return of Spring and future joys around the corner are just as promising. I must stoke the fire of motivation within me by accepting a few fundamental truths. First of all, I am not the only person to mournfully endure a lonely, depressing holiday season. Many people experience great grief, loss and pain through the holidays. Knowing I am not alone makes it easier to not take on a “poor me, it’s just little me against the whole happy world” mentality. Recovery support groups are extremely helpful for realizing this. Sharing stories is a great reminder that this life is give and take, someone always has it worse, or better, or maybe they went through a similar struggle, came out stronger and can speak encouragement right to my heart about it. I know I am able to do the same for others when it comes to adversities I’ve come through. I’ve lived long enough to know there have been both painful years as well as years that exceed joyful expectation. This is the ebb and flow, the yin and yang of life, as much as the rising and setting of the sun and all four seasons are an expected part of it. Second, I know I can sit down in the drudgery long enough to push through it. Facing and feeling the misery like a wave crashing yet eventually subsiding is much healthier than resisting it, numbing it or acting out because of it. Sometimes I need to sit in that silence and grieve my way through those moments with the memories. I may even fall asleep in it because an impromptu nap in a moment of meltdown always seems to help. I often wake up twenty minutes later a little less dreary, feeling stronger, more hopeful, ready to get up and proceed through that day. No matter where it falls in the calendar, I only have to get through that day. And if I look hard enough, I find a lot of special moments and joy along the way. During the coldest winters and darkest of times, I always find myself buoyed along by the kindness of strangers. If I open my eyes to it, I find kindnesses around me daily. At first this can feel like trying to plant flowers in ground that is frozen solid. It’s work to be hopeful and positive. It’s work to not give up! But it’s by far some of the greatest, most crucial work we’ll do. Third and finally, I believe that turning my misery and energy outward into kindhearted service is a no-fail guarantee to take me outside my private world of personal circumstances. There is nothing more uplifting than focusing on someone else for a while. There will always be someone who can use some loving kindness from me, whether it’s a card dropped in the mail, a call to say “I was just thinking of you,” or a visit to let someone else know their life matters and I want them to tell me all about it. Sometimes all one needs is a comforting reminder that they, too, are not the only one. These are things I can do to not only get through, but give a boost to others as well. We are, in fact, all in this life together. No, Halloween wasn’t what it used to be, this year. But the day was exactly what it should have been: a beautiful Fall day with plenty of moments to appreciate and enjoy. And yes, Thanksgiving this year was void of my son’s presence. I had no Eye-lish to convey my thoughts with him, but I did spend the day with family and friends and there was much laughter. Christmas is just days away and it feels more like a regular day off than a holiday filled with lights, gifts, lots of guests and warm traditions. But I know I will make the very best of it. I have great hope that next year we will all be in a different place – just like we are now. Just like we are every year. Life ebbs and life flows, the sun rises and sets. In that, there is hope, as well as the reminder to stay mindful in the moment and cherish every good day without letting it slip by unnoticed. I refuse to have an attitude of ‘wake me up when December ends’ or ‘fast forward to February!’ I want to stubbornly look for, and find, the kindness and joy within each day and plan for the future with a childlike hope. This awareness and hope feel more like being alive and holding the magic of the season than just about anything. *Annie Highwater is the author of Unhooked: A Mother’s Story of Unhitching from the Roller Coaster of Her Son’s Addiction. She is a long distance runner, health and wellness advocate and researcher of behavioral science, specifically including family pathology and concepts of dysfunction and conflict. Annie resides in Columbus, Ohio where she has worked in the insurance industry. She also enjoys writing, hiking, the great outdoors and visiting her son in Southern California as often as possible. Learn more about her and the book on her Facebook page. Excellent blog you have got here.. It’s difficult to find excellent writing like yours these days. I really appreciate people like you! Take care!! Hey very nice website!! Man .. Excellent .. Amazing .. I will bookmark your blog and take the feeds alsoвЂ¦I am happy to find so many useful information here in the post, we need work out more techniques in this regard, thanks for sharing. . . . . . I must voice my affection for your generosity for men and women that absolutely need help on this one concern. Your very own commitment to passing the message across had been exceedingly significant and have truly helped regular people just like me to get to their objectives. Your amazing warm and helpful instruction can mean much a person like me and additionally to my office workers. Warm regards; from everyone of us.